Sorry my first post on your site , I apologise. I believe I’ve made a hash of it ! Pattern design was in production from 1908-25 although the stamp online is a different style to the one on yours so I think it was newly made in the 1920s and bears the later stamp. There are some online on US eBay listings and china replacement websites. It might be relatively rare but currently out of fashion so I’m afraid in this case rarity does not equate to valuable. F. Winkle & Co. Stoke Staffs. 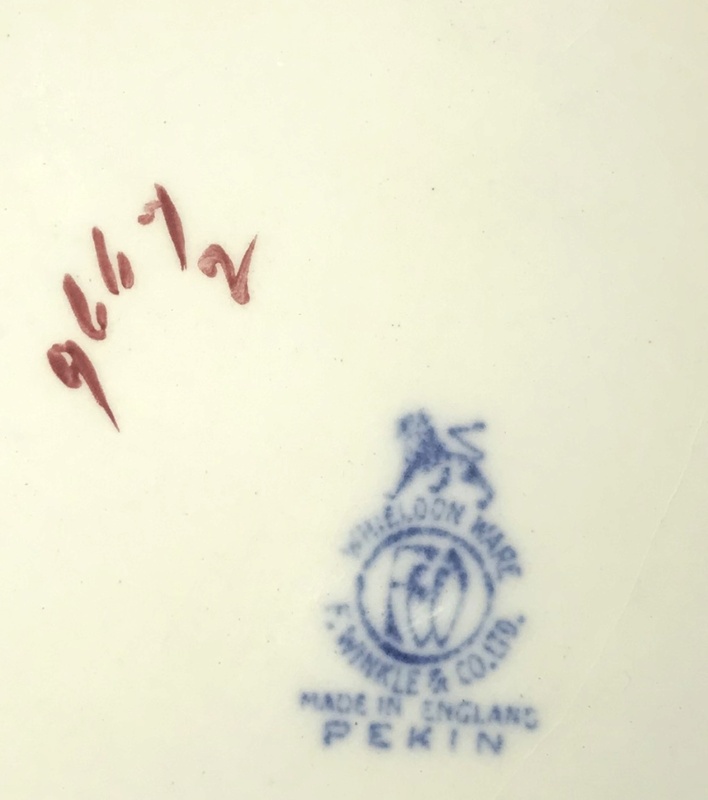 This mark was used 1925-31. A jug and wash bowl with all of the other things that you mention were "hot" fifty or sixty years ago, as it was something that the American Market was crying out for and it was shipped out there by the container load. This was before my dealing days but I did have an uncle, who was an antiques dealer back then. 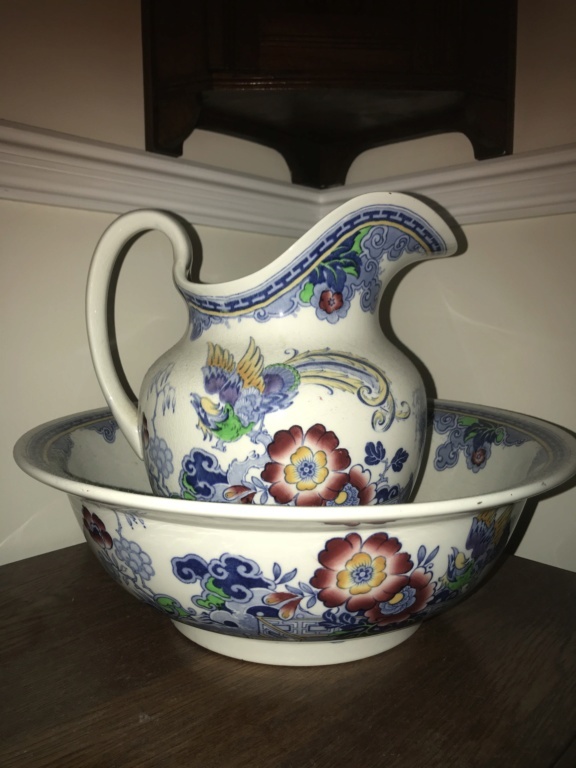 As stated above they are worth far less today and I suspect that, if you did have all the accessories to go with your jug and bowl, the set would be worth little more than the jug and bowl alone and less easy to sell, should you wish to. Ah, that explains why a lot of the examples I was finding on google were in the US. Made me wonder if it was a special colourway for the US market. Yes I'm sure washstand jugs and bowls were largely obsolete by this date. 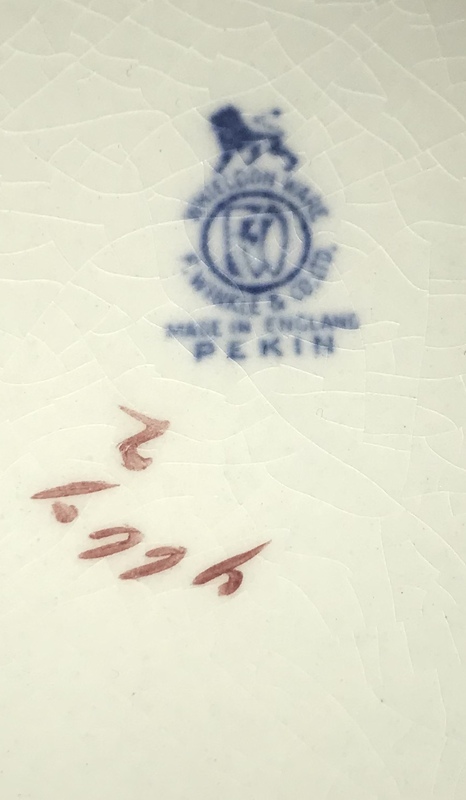 Thankyou for your replies , I haven’t found this particular design appears much , although I did manage to find a ceramic tray , same design on eBay a couple of years ago , my elderly mum was bathed in this bowl , il pass this set on to my daughter , once again thanks for your help .